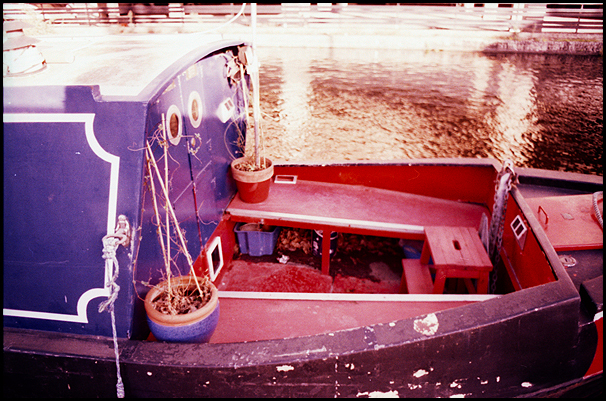 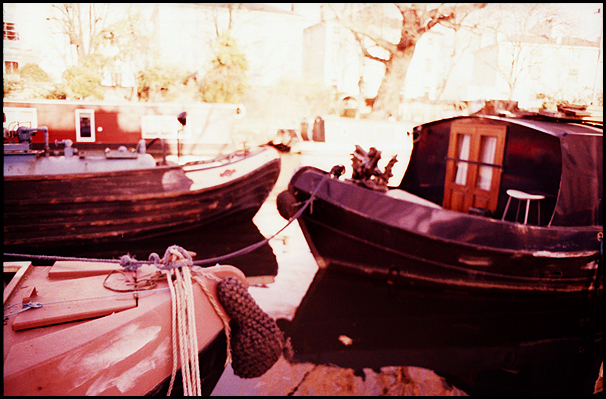 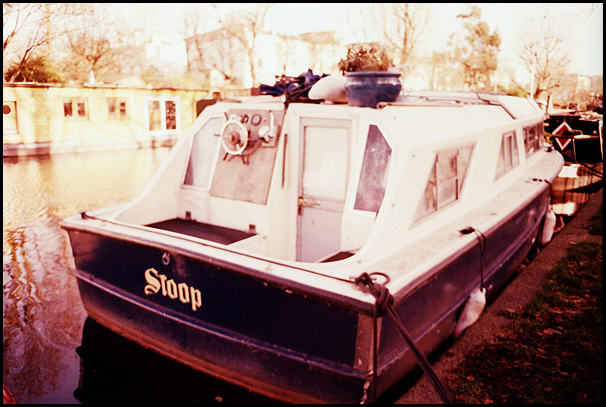 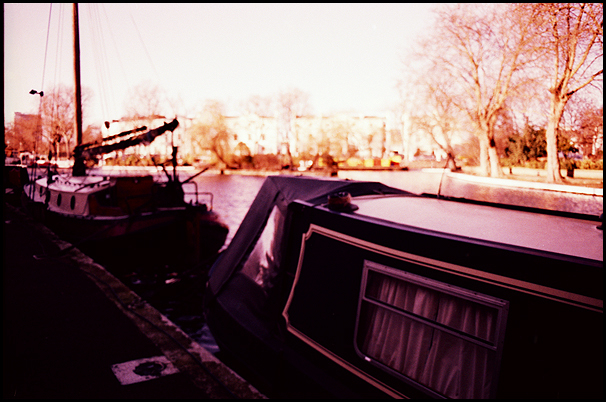 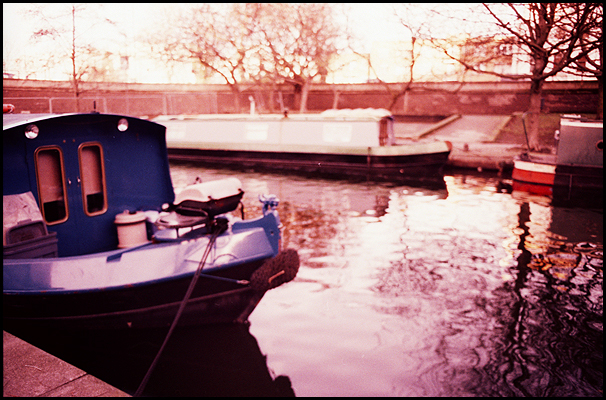 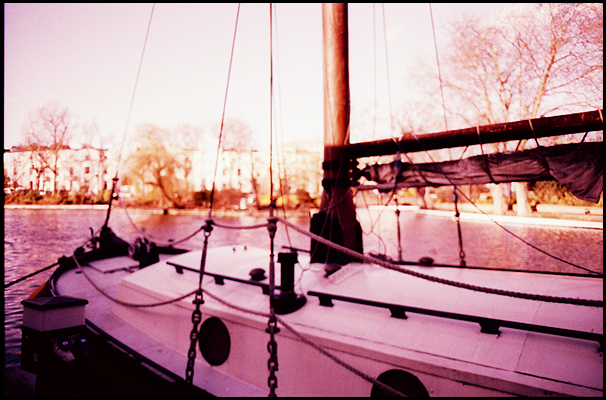 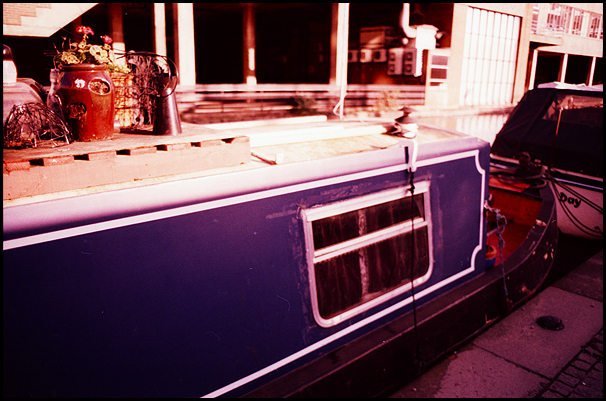 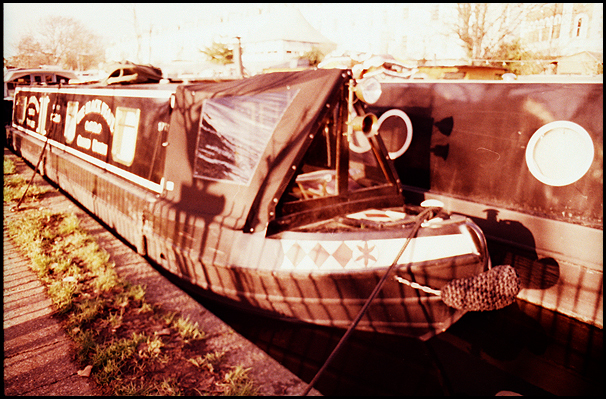 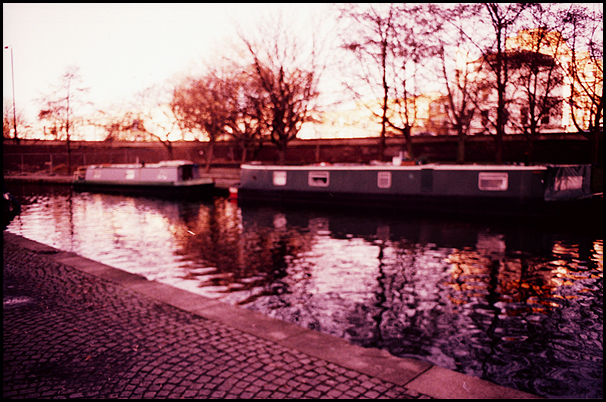 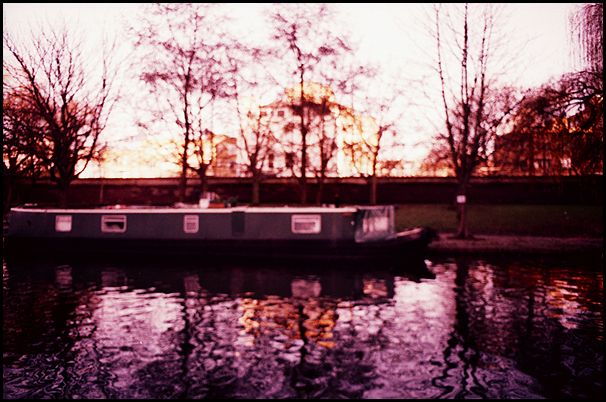 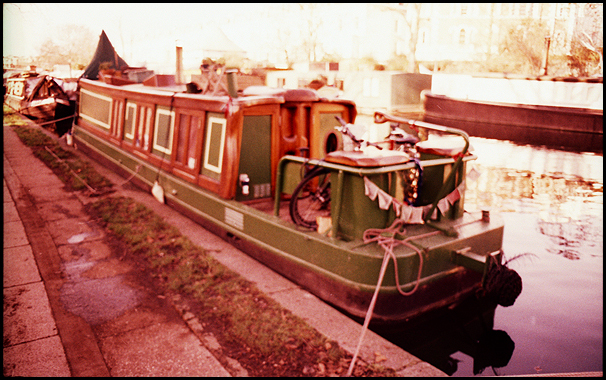 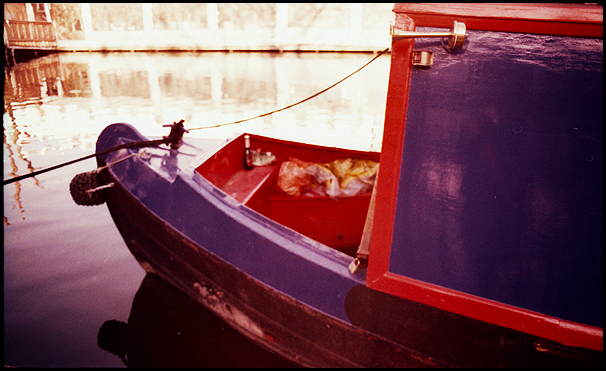 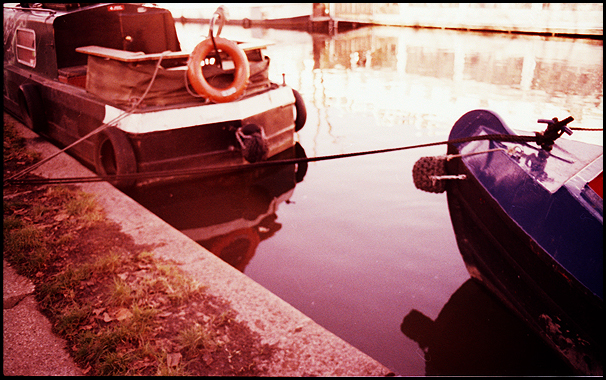 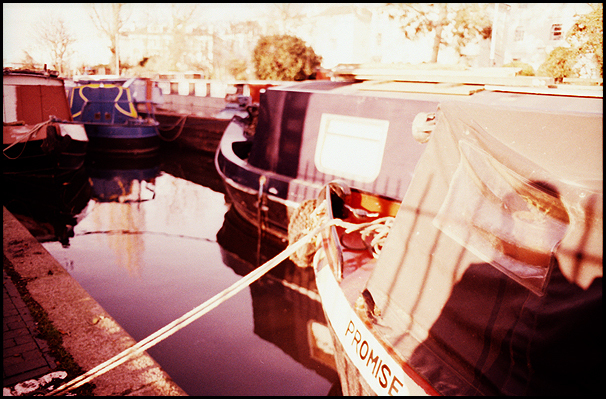 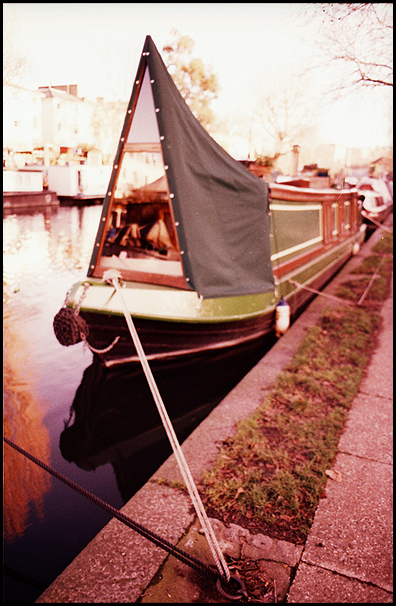 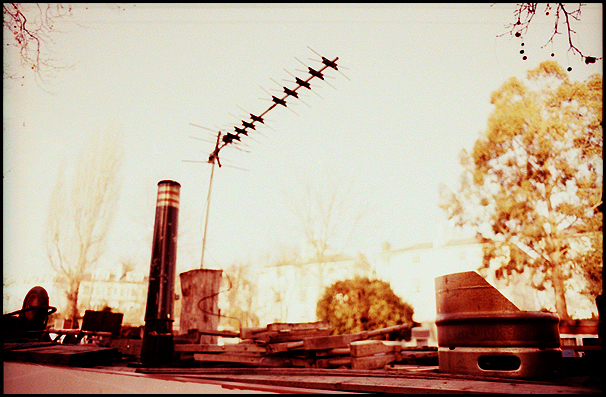 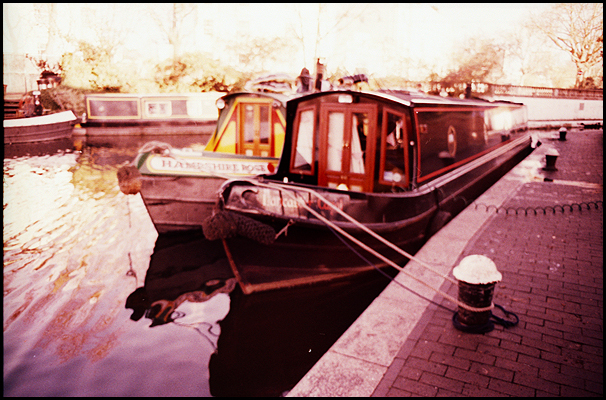 These are some photos I took in Little Venice with my old Pentax film SLR a few weeks ago. 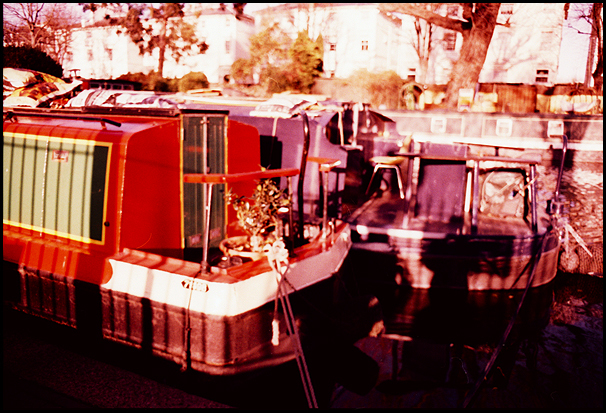 They call it Little Venice, but it’s really just a canal basin out the back of Paddington Station with lots of houseboats, some nice pubs and a cafe and a puppet theatre on boats. 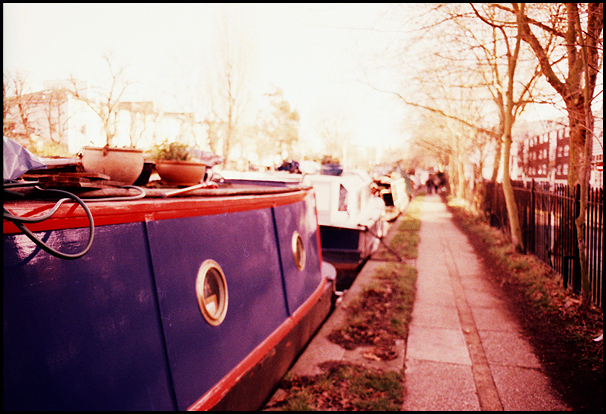 I guess “Little Holland” or “Little East Anglia” don’t sound as exciting. 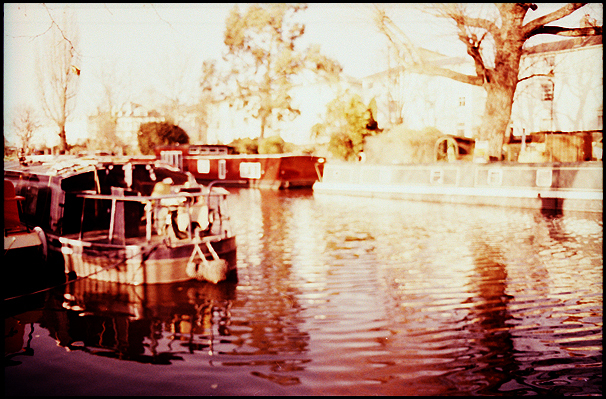 The slide film was much more out of date than I realised, but I like the orange and purple impressionist look I ended up with, some of the photos look more like paintings than photos.